A couple can no longer resolve conflicts without fighting, shouting, or name calling. 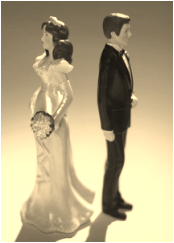 Discussions devolve into unproductive conversations in which the ‘D’ word (divorce) is used frequently. One member of the couple has had an extra-marital affair—either physically or emotionally. What if my spouse won’t come? Will counseling work? If there has been an affair, is there any way to fix our marriage? Visit the Fees & Payment page for more information. Will my health insurance pay for the counseling? Occasionally Ms. Wheeler will work with a superior Counseling graduate student who will offer sessions for clients at a reduced cost ($40-$60/session). How do I arrange for Counseling? Contact Helen Wheeler by Phone: (843) 763-5837; Fax: (803) 753-0134; or Email: ctrforfamilies@bellsouth.net. Where is the Center for Families? We are located at 27 Gamecock Avenue, Suite 202, Charleston, SC 29407, just off I-26 at the Cosgrove exit 216 South, behind S&S Cafeteria. Visit the Contact & Location page for more information.